When we talk of organic traffic, these are surfers who will search for content through unpaid or organic search engines like Google or Bing. They will land on your site by being redirected by search engines. Organic traffic is of great importance compared to paid traffic. 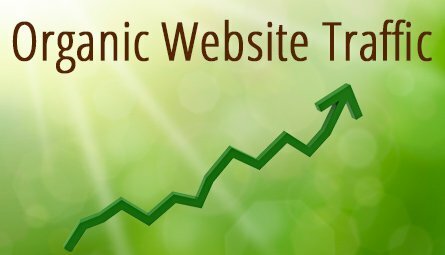 Paid traffic will increase traffic on your site but organic traffic might convert better to customers or people who might buy ad spaces on your site. If you want to get organic traffic, all you have to do is please the search engine. All you have to do is make your content searchable and informative to rank high in the midst of hundreds of search results. This is referred to as SEO. In this post, I will furnish you with two simple methods on how to please the search engines. This is a tip very useful to generate traffic to your website. If you have a blog on your website, come up with content that will be appealing to your audience. Let’s assume you are running a technology focused website, go for topics on latest technology innovations or technology that will make your audience life easy like furnishing them on new applications. When running blogs, you need to be aware of social issues and problems that affect your niche. When coming up with content, use tools from Google to learn about target keywords; this will give you ideas on trending topics in the niche you are focusing on. Other parameters you need to look at are locations for your keyword placement in the content. Your heading needs to contain keywords and needs to be catchy to attract your audience. When you have links on your site, they are considered as votes of trust by Google. External links from other sites are important in this case. The website sending the link to your site needs to be of similar niche to your site. A site which has is old in the web, has quality content and is in your niche sending links to your site will be highly considered by search engines.